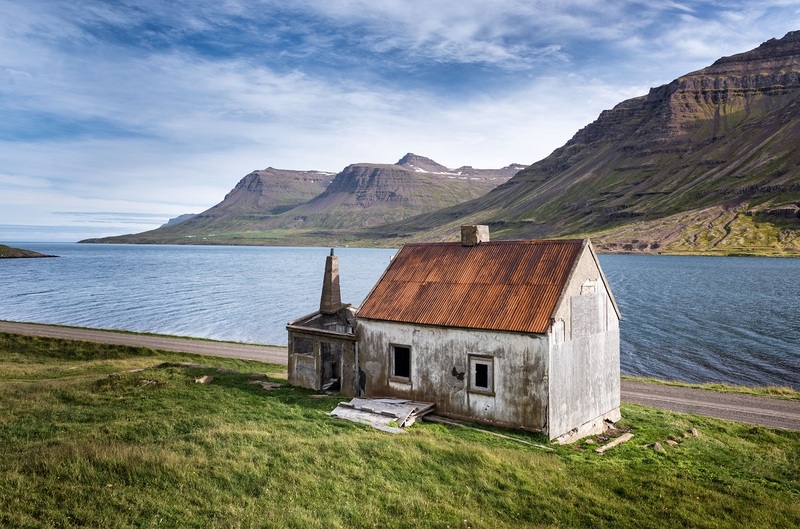 From high-jumping whales to fermented shark and singalongs to beer baths, an Iceland cruise is a delightful tale of the unexpected. It was billed as a cruise to the Land of Ice and Fire, but a Saga Sapphire voyage to Iceland this summer turned out to be so much more. There were Stone Age relics older than Egypt’s Pyramids – even before we left UK waters. For the bravest, there were tastings of fermented shark meat. And there were whales. Lots of whales. That was just during the daytime – though, to be fair, there was daylight around the clock for much of the voyage. Evenings were enlivened by some unexpected entertainment that took many seasoned Saganauts by surprise. So, let’s start at the beginning. Which, in proper Saga style, was a chauffeur-driven limousine that delivered me from home to Dover port with minimum fuss and hassle. A full day navigating our way through the North Sea’s gas and oil installations gave passengers a chance to relax into the rhythm of cruise life. Only a few of them needed to learn their way around Saga Sapphire – almost three-quarters were repeat customers. Tuesday morning saw us arriving at Kirkwall, capital of the Orkney Islands, although a sudden squall almost denied us the pleasure. Captain Julian Burgess had to call on all the skills acquired during his 36 years at sea to bring his ship alongside, while the crew had to resort to rarely used rocket-launchers to get the lines ashore. The wind is one of the reasons why these northern British outposts are almost devoid of trees, but it didn’t deter coachloads of passengers from setting off to see the island’s prehistoric remains. 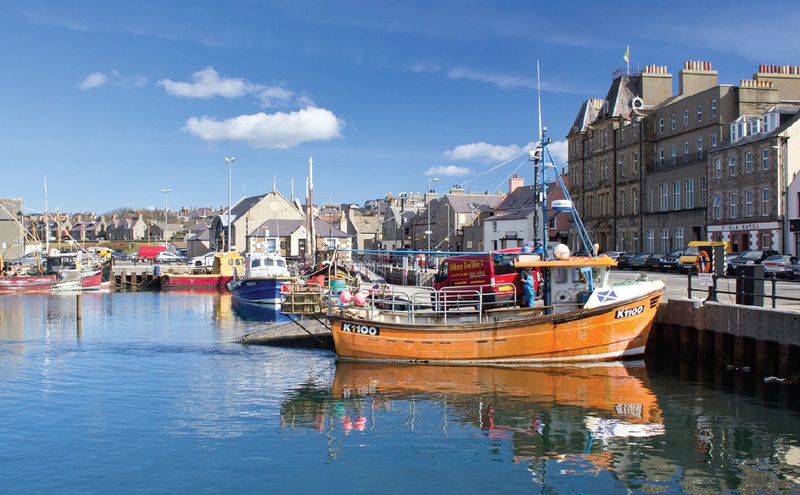 Stone circles older than Stonehenge and a perfectly preserved village – Skara Brae – that pre-dates the Pyramids were ticked off in a succession of photo-stops, with a knowledgeable local guide adding effortlessly to everyone’s knowledge. A tour round the rest of the island gave us a drive-by look at Scapa Flow – the famous naval base during two world wars – but sadly left no time for a tasting session at the Highland Park distillery. Another day at sea followed, with Capt Burgess diverting slightly off course to give his passengers a chance to view the forbidding cliffs of the Faroe Islands, and to tick off another name from the list of shipping forecast regions so familiar to insomniac Radio 4 listeners. We reached Iceland the next morning, our arrival in Seydisfjordur only slightly hindered by the weekly ferry to Denmark, which was occupying the only berth. Sapphire dropped anchor in the fjord and morning departures went ashore by tender before the quayside cleared and Sapphire was able to go alongside. 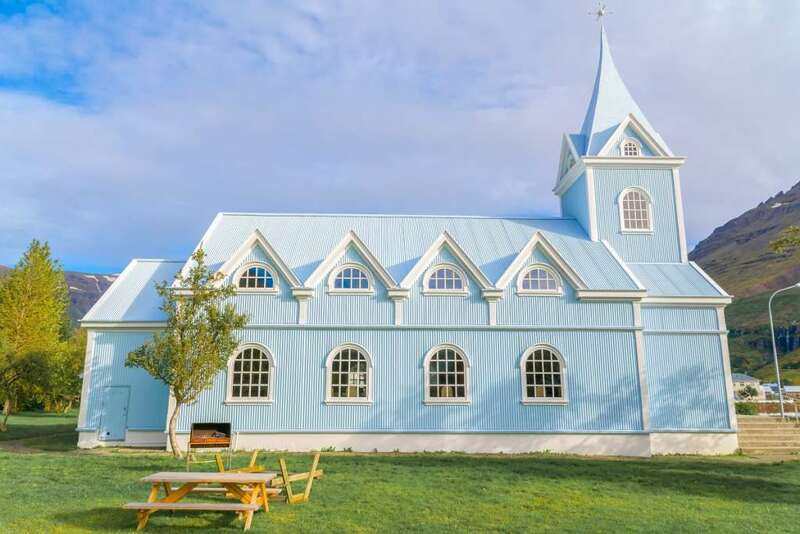 A walking tour of the town included a visit to its pretty church, where we were treated to a musical recital of gruesome Icelandic lullabies, guaranteed to scare any child into sleeplessness. The sunshine that warmed our walkabout was deceptive. Saga Sapphire sailed away just ahead of a threatening storm that we later learned wreaked havoc, sweeping away roads and bridges in a torrent of floodwater. 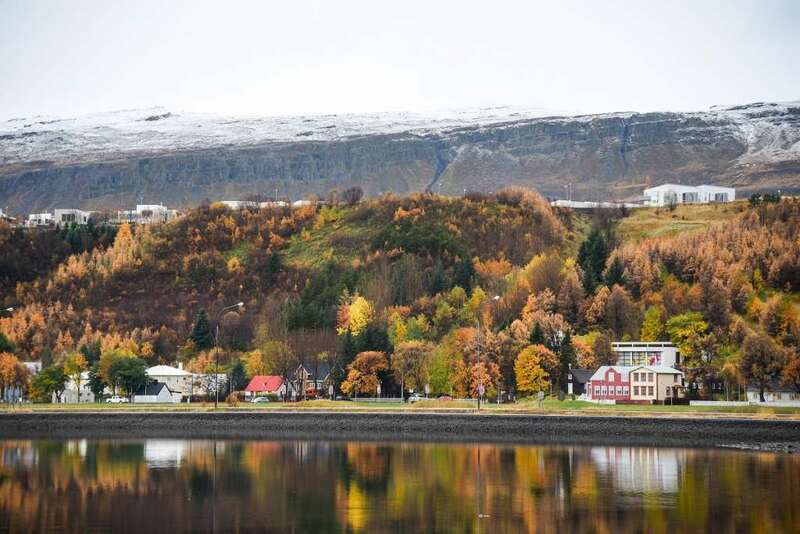 We had only rain to contend with on arrival in Akureyri, self-styled capital of Iceland’s north. It was almost wet enough to put us off joining a whale-watching excursion, and the operator’s offer of survival suits that were “probably not waterproof” was hardly reassuring. But thank goodness we weren’t deterred, because for three hours we enjoyed close encounters with a succession of humpback whales, our guide identifying each one by name. The creatures waved lazy fins, rolled gently in the water as if sleeping off their lunch, and occasionally arched their backs and raised their barnacle-encrusted tails in the air before diving in search of more food. That was thrilling enough, but as the rain continued to fall and the skipper prepared to turn for home, we were treated to an astonishing triple breach as two of the whales leapt clean out of the sea in a high-jump contest. It was almost as if they were putting on a special show for the watchers on a smaller boat that was much closer, but we still got a great view and memories to treasure. Our next port of call was Islafjordur, where Saga Sapphire was dwarfed by gigantic cliffs rising from the sea. It was in this little town that passengers were given a chance to taste the Icelandic delicacy hakarl – aka fermented shark meat. The tiny cubes of flesh, picked up on cocktail sticks, looked harmless enough, and to me the taste was not unlike Japanese sashimi. It was only later, at a museum devoted to the fishing industry, that we learned a little more about hakarl. Years ago, the men used to set out for Greenland in their tiny 16ft vessels and it was not uncommon for them to catch a shark bigger than their boats. To preserve it, the meat would be buried in the ground for three months, dug up, soaked in urine, and then buried again for another three months. Thinking of what I’d just eaten, I turned green – until I was informed that the process is a lot simpler these days and no longer involves bodily fluids. The food on Saga Sapphire was far tastier, I’m happy to say, and thoroughly dependable. The main restaurant, Pole to Pole, is cleverly split into small sections to disguise its size, and the dinner menus, devised by executive chef Gavin Baxter and changed every day, were a constant delight. So it was a surprise to discover that the Verandah restaurant, where no reservations are accepted, filled up faster each evening. Same food, same excellent service, but for me a less relaxing atmosphere (not that I’m grumbling – it’s popularity meant I never had to wait for a table in Pole to Pole, whatever time I turned up for dinner). Evening entertainment was equally accomplished. An energetic troupe from the alarmingly named Explosive Productions performed a repertoire of musical shows, and visiting entertainers were flown in to headline on the nights in between. But the star turn, performing every evening in Cooper’s Bar, was pianist and singer Perry Grant – a gentleman with blonder hair than any of the girls from TOWIE, and teeth so white they would glow in the dark, if he didn’t have his own personal spotlight permanently pointing at them. A regular on Crystal and Princess cruises, he is camper than a row of tents and not a natural choice for Saga – or so I thought at first. The audience was indeed a bit thin for the first night or two, but word soon got round and Cooper’s became the place to be for Perry’s three singalong shows each night. On one evening, a companion commented that one member of the audience had a particularly fine voice of her own, as she joined in the fun. Not surprising really; she was Welsh singer Maria Lyn, who had her own solo shows in the Britannia Lounge. Most of my trips were chosen from Saga Sapphire’s curated shore excursions. One day, however, I got them to do something special just for me. I had heard of a “beer spa” that had just opened about 30 minutes’ drive away from Akureyri. I felt that I would be failing in my duty to our readers if I didn’t investigate, so Shorex manager Andy Barr organised a taxi for the morning to give me a private tour of the town, followed by a relaxing soak. Close to the local brewery – obviously – Bjorbodin spa has seven tubs made from African kambala wood, each capable of holding two people. Outside there’s a pair of hot tubs for larger groups to share. The baths are not actually ﬁlled with beer, though you’ll ﬁnd it on tap next to your tub. Instead you immerse yourself in a mix of its ingredients, including yeast, hops, and a host of health-giving vitamins. The resulting brew is warmed to a comfortable temperature and I must say that my 25-minute soak was an absolute delight. I mean, sharing a warm bath (with one’s wife), drinking cold lager and breathing in the heady aroma of hops … could life get any better? Actually it could. The next 25 minutes were spent in peaceful meditation, cocooned in blankets of soft Icelandic wool, on a bed in the relaxation area upstairs. The cares of life – already diminished by a week at sea on Saga Sapphire – were magically lifted from my shoulders. There was just time for another beer in the spa’s bar before it was time to return. Soon, if it proves successful – and the number of visitors signing up at reception showed it can’t fail – there will be massage treatments and other treats (www.bjorbodin.com). Saga Pearl II will make a similar 16-night voyage in 2018, departing from Dover on July 12 and calling at Kirkwall, Lerwick, Eskifjordur, Akureyri, Isafjordur, Grundafjordur, Reykjavik, Londonderry and Dublin. Fares from £5,140 per person. The cruise is operated in association with the Women’s Institute, whose members can claim a £250 discount. See saga.co.uk/cruises, 0800 505030.